Aurore Dudevant, better known as George Sand, once referred to men kidding themselves they hold power: Let them think they decide. 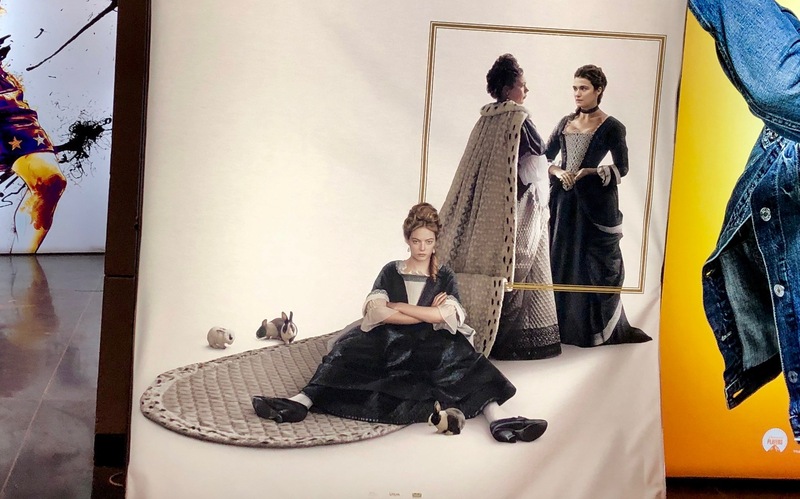 It seems like this is the bottom line of The Favourite, a movie with three strong female leads and a bunch of men in the background. Men who “must look pretty,” who are heavily overdone with makeup, wigs, dressup. They are on the receiving end — by word, by letter, or by hand. The story in a nutshell. 18th century. England is at war with France. An ailing Queen Anne (Olivia Coleman) is plagued by gout, indigestion, and memories of seventeen lost children. Sarah, the Duchess of Marlborough (Rachel Weisz), is taking full advantage of the situation to advance her and her husbands’s personal interests to continue the war. Sarah rules the country as well as she rules the queen — in bed. A newcomer to the British court, Abigail (Emma Stone), Sarah’s distant cousin, enters the picture. Abigail is on a mission to restore her society status once damaged by her father’s doings. She’s approaching the task with “All About Eve” style starting by making a concoction to treat Queen Anne’s gout and ending up in Queens’s bed. Intrigue at the high court. 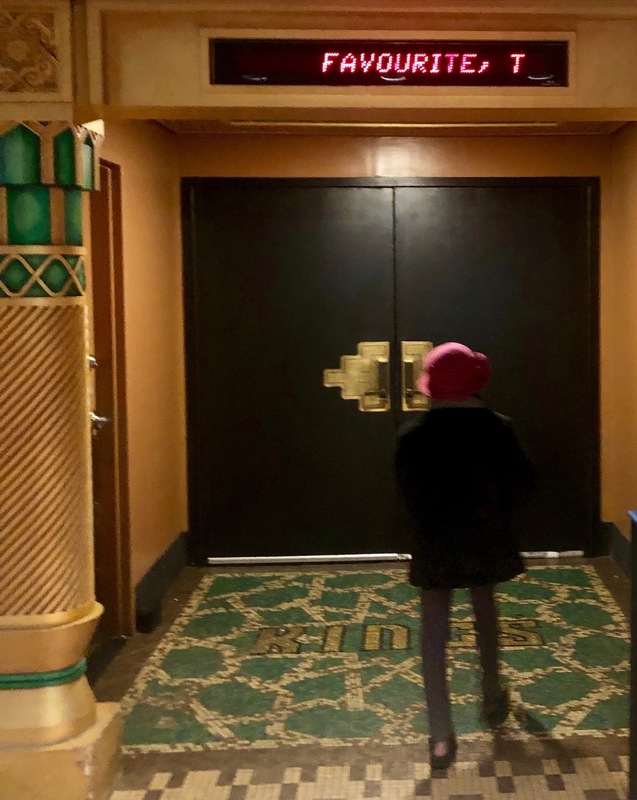 My whole trip to the city was planned around watching this movie, but it was Tom who alerted me: his friend Tariq, better known as Doctor Oscar, said the tickets could be sold out if I get to the theater too close to the start time. I popped my phone: four hours before the show and only three tickets left. Thank you, Tariq — I got one! 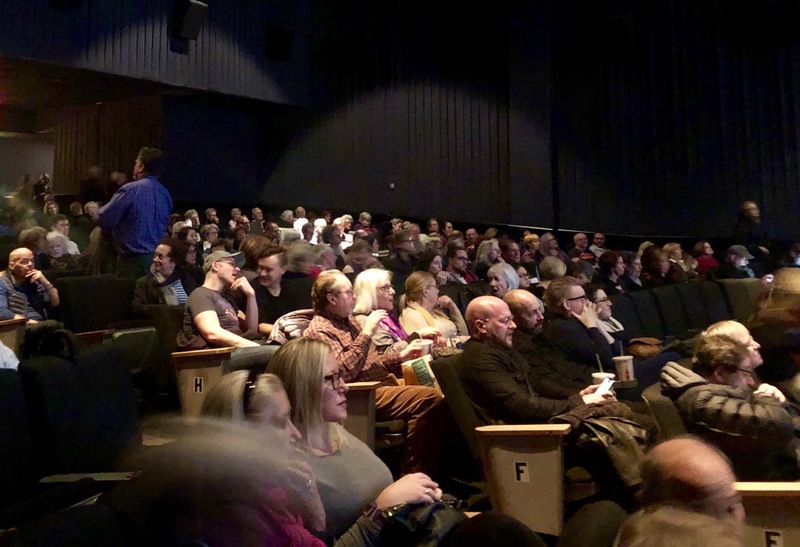 The theater was packed and a few peaceful squabbles over the assigned seats — something New York moviegoers are not accustomed to — made it more exiting. Olivia Coleman, Queen Anne, in this movie is mesmerizing. I did not have her on my radar, although she was in The Lobster, and Hyde Park on Hudson, and The Iron Lady. Her performance is one of those when you forget what time period you’re actually living in and which is on the screen. She’s vulnerable, she’s powerful, she’s miserable, she’s lustful. Her precise close ups are impressive like no other I can remember. She is definitely an Oscar contender for the Best Actress. Rachel Weisz first draw me in with Wong Kar-wai’s My Blueberry Nights. It was like: Who is That Woman? I followed her since then — on screen and on stage. She delivers here full force. Emma Stone — I loved her in The Help, in La La Land, Battle of the Sexes, and Crazy, Stupid, Love. In The Favorite, she still performed herself, just like in every other movie. And she fit in just right. Kudos to great casting and Yorgos Lanthimos! Someday Rachel Weisz and Emma Stone will go against each other for the Best Supporting Actress. But it’s hard to see how Emma can beat Rachel. All in all — it is a dirty, dark comedy with high-class casting based on great writing, guided by unconventional directing. It is fun.